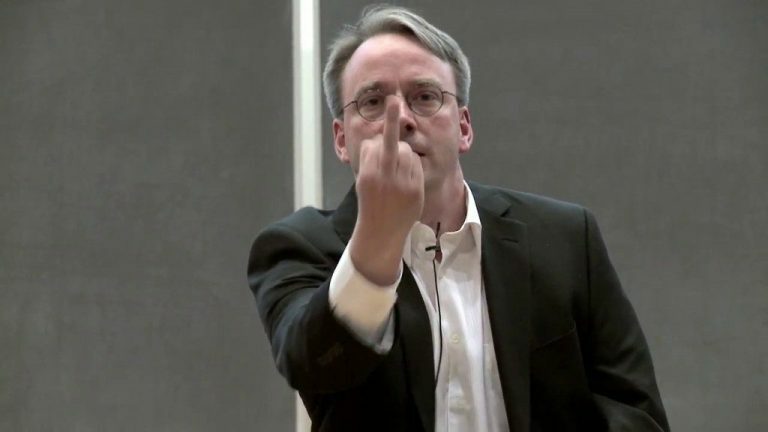 When Fail0verflow revealing unpatchable 0-day in Tegra X1 BootROM, they released Switch Linux port as PoC payload. This Linux port works quite a lot but there were some quirky parts and one of a most significant bug was “battery desync” bug. When you play a game on Switch which has booted Linux on it, Switch suddenly shuts itself off when the battery level reaches around 46%. Also, when you don’t play a game on Switch, it also shut itself at around 26%. The only way to fix this bug is power cycling full system. This symptom is very similar to one of common symptom in a generic battery powered device. When battery powered system draws a huge amount of power from the battery which is incapable to supply that power surge, the system will shut down. Nintendo Switch has these chips in its power system. Full system power cycle will turn off and on these chips which normally cannot be power cycled. “Battery desync” bug may be caused by wrong values in registers in those chips which Linux sets but Horizon OS does not reset. So, I know knowing register values in power system chips can help my research about “desync bug”. There was no tool exists for that when I did my research, so I wrote one for it. I wrote NX-MemXPlorer by hacking Memloader source code. I poured my previous written-in-hurry interactive debug shell code into Memloader and wrote another helper functions for dumping BQ24190 and MAX17050. With this tool, I was able to run diff in register values between Horizon OS and Linux. I got the dump of BQ24193 after booting Horizon and Linux and run diff on it. Also, I dumped MAX17050 after booting Horizon and Linux. It does not look meaningful at all except 0x03: battery level interrupt. However, restoring 0x03 into 0xFF didn’t fix the battery bug. The only remaining one is MAX77620, but here comes the dragon: The NDA. MAX77620 is PMIC which has lots of other features like GPIO and RTC. The problem is, Maxim integrated homepage does not contain any information about this chip. Only Jetson TX1 dev board and other devices like Nintendo Switch let us know about the existence of MAX77620. Also, Linux MAX77620 driver is submitted from Nvidia. The worst thing is, according to post in Nvidia developer forum, detailed information is only available under NDA. This means I only can reference Linux driver code when I explore this chip. Another problem, analysis target is PMIC, which will fry the whole system when I do some wrong read or write. Undocumented killer POKE and PEEK. Not so good. Under these limitations, I got a clever idea which will shine a light on undocumented register map: Observing which registers driver writes. To monitor what registers Linux MAX77620 driver access, I patched Linux I2C system with this patch. After that, I grep’ed kernel log and extracted I2C XFER logs from it. This is the final state of MAX77620 registers which Linux change. [    6.276275] I2C XFER: device = max77620, flags = 0x00, data = [0x27, 0xd4, ] // ?? Why 0xf2 in memxplorer? The noticeable part of this dump is register 0x00. Horizon OS wants 0x92 in this register, but Linux sets it to 0xFF. Let’s overwrite it with 0x92 and run Korokmark2018Zelda BotW to drain battery. I got succeeded in this case. Now I know I can fix “battery desync” by writing 0x92 to 0x00 of MAX77620, I tried to find out why. According to the source code, that register name is CNFGGLBL1 and name of bits in that register is quite meaningful. LBRSTEN? Maybe acronym of Low Battery ReSeT ENable? Maybe those registers are related to low voltage emergency shutdown. Also, Horizon OS does not touch those bits. It leads to this conclusion: “Battery desync” nametag was red herring. It wasn’t related with battery fuel level desync at all. Then, why Linux sets it to 0xFF? Let’s follow the stack trace. It is quite weird. Why GPIO driver touches register 0x00? Let’s look inside. Huh, Interrupt masking code is writing 0xFF into 0x00. Why? because Linux didn’t support Non-interrupt maskable regmap. Also, Nvidia’s original patch for MAX77620 GPIO driver touches 0x00 using Device Tree until v4 of that patch. Additionally, Nvidia knew this problem and try to solve this problem with patch with the flaw (think when interrupt mask is located in 0x00). Of course, this patch wasn’t mainlined and this bug finally succeeded to screw up Switch Linux users. So, there is no clean solution for this bugs but I can patch it with duct-tape code until Linux get support for it. Also, CTCaer Hekate IPL included battery fix which will write 0x92 to MAX77620 0x00. My Linux and U-Boot patch will prevent Linux from setting wrong value in CNFGGLBL1 and CTCaer Hekate will provide the fix for affected peoples. Nvidia, f**k you for poor quality patches. Hey, I have figured out that usb works on linux, but you have to supply power externally since the switch does not supply power. I suspect it is the fault of the BQ24193, but I am unsure how to debug it. I don’t have a 1.8v usb – serial adapter so I can’t use nx-memxplorer. Really? so, to make USB 3.0 work, I just have to plug powered hub to Switch? Maybe. I’ve only tested it with a USB HDD, which worked perfectly. I looked Device tree and I found it has missing 5V Vbus output regulator. I think this may require more reverse engineering effort. Maybe it does not help or may damage your Switch.